Rainfang padded into the HollowPack camp, carrying cobwebs in her jaws. She made her way into her den, placing the cobwebs into the storage. Luckypelt padded past her packmates and into the nursery, squeezing inside carefully. Once inside, she scraped some moss together and settled down into a nest. Lostwash pulled a mouse from the fresh-kill pile and sat down nearby to eat. Luckypelt lapped her tongue over the five pups at her side as they squeaked and squealed for milk. As she touched her nose to each pup, she sent a silent thanks to StarPack for a healthy litter. Dahliatail grabbed an eagle from the fresh-kill pile and dragged it over to Mousefur. Mousefur padded past her packmates and into the nursery, squeezing inside carefully. Dipping her head to the other queen, she settled down into an empty nest. Rainfang padded out of her den, dragging the body of Dahliaclaw in her jaws. She placed the deputy in the center of the pack camp, arranging him so the pack could grieve. Tallpup padded out of the nursery and pressed his nose into Dahliaclaw's fur. 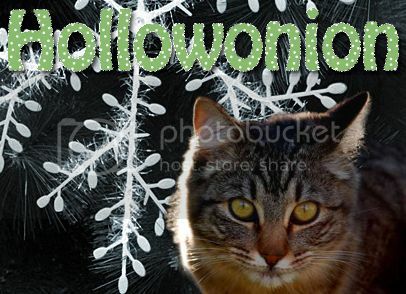 Hollowstar pressed his nose into Dahliaclaw's fur, then tossed his head back in a howl. "Dogs of HollowPack. Listen, And I will appoint the new deputy. I say these words before StarPack so our ancestors may hear my approve and choice...Dahliatail will be the deputy of HollowPack!" "Thank you, Hollowstar." barked Dahliatail with a dip of his head. "Dahliatail, Dahliatail, Dahliatail!" cheered Rainwind for the pack's new deputy. Mousefur's chest rumbled as she licked the three pups at her side. As they wiggled and yelped, she sent a silent thanks to StarPack, hoping Dahliaclaw could see his pups. Dahliatail padded into the HollowPack camp, carrying a mouse in his jaws. He made his way into the elder's den, dropping the mouse at their paws with a dip of his head. Rainwind pulled a vole from the fresh-kill pile and sat down to eat. Rainfang padded out of her den, carrying the body of Dahliatail in her jaws. She made her way to the center of the pack camp, placing the deputy down so the pack could grieve. Stonepup padded out of the nursery and pressed her nose into Dahliatail's fur. Hollowstar touched his nose to Dahliatail's fur, then tossed his head back in a howl. "Dogs of HollowPack. Listen, And I will appoint the new deputy. I say these words before StarPack so our ancestors may hear my approve and choice...Lavenderstorm will be the deputy of HollowPack!" "Thank you, Hollowstar." replied Lavenderstorm with a dip of his head. "Lavenderstorm, Lavenderstorm, Lavenderstorm!" cheered Luckypelt for the pack's new deputy. Lavenderstorm padded into the HollowPack camp, carrying a mouse in his jaws. He made his way into the nursery, dropping the mouse at the queen's paws with a dip of his head. Rainfang padded into the HollowPack camp, carrying tansy in her jaws. She made her way into her den, placing the tansy into the storage. Sandstripe padded into the HollowPack camp, carrying a mouse in his jaws. He made his way into the elder's den, dropping the mouse at the elder's paws with a dip of his head. Stonepup pulled a mouse from the fresh-kill pile and sat down to eat. Lostwash padded into the HollowPack camp, carrying a pigeon in his jaws. He made his way into the nursery, dropping the pigeon at the queen's paws with a dip of his head.